Since the founding of the school in 1945, UCLA Samueli Engineering faculty and researchers have undertaken cutting-edge research projects in a wide variety of areas. In the last century, engineering recorded its greatest achievements with the widespread development and distribution of electricity and clean water, automobiles and airplanes, radio and television, antibiotics and medical imaging, and computers and the Internet. Many of the discoveries at UCLA Engineering contributed to these modern day advancements. This section highlights some of the most interesting and innovative projects. Consider this just a snapshot of the school’s rich research history. 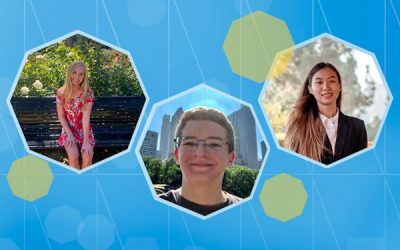 UCLA Samueli Engineering has enjoyed a history of strong and innovative leadership since its inception. On January 10, 1941, the Regents authorize instruction in engineering on the Los Angeles campus. On Friday afternoon of Sept. 22, 1944, following a meeting of the Regents in San Francisco, University President Robert Gordon Sproul announces the appointment of Llewellyn Michael Kraus Boelter to be Dean of the College of Engineering on the Los Angeles campus. In the fall of 1945, the College of Engineering opens with an enrollment of 379 students. In August of 1946, a single-engine Japanese Navy torpedo bomber known as a “Jill” is delivered to the College of Engineering for use in instruction. The plane had been taken aboard the USS Lexington in the South Pacific, was stored briefly at Roosevelt Air Station, then offered to Capt. G.G. Crissman, USN, professor of naval science and tactics. On Nov. 16, 1946, the College of Engineering receives a General Electric Mechanical Differential Analyzer, a “mechanical brain” capable of solving in a few days mathematical problems which would take several years of work by conventional methods. This was only the sixth instrument of its kind in the United States. On Sept. 30, 1947, the College of Engineering receives an A-C Network Analyzer from General Electric. Somewhat resembling a telephone switchboard with dials, the analyzer initially was developed by GE to study problems associated with power system design and operation. It is the second “mechanical brain” machine to be obtained by the college. In the fall of 1947, furniture designer Charles Eames enlists the cooperation of faculty to develop a chair to be entered in the New York Museum of Modern Art’s 1948 International Competition for Low-Cost Furniture Design. The design wins a shared second prize in competition with 250 entries from the United States and nearly 500 from European countries. In June of 1948, Barbara Wynn of Cheviot Hills becomes the first woman to graduate from the College of Engineering. In July of 1952, Conrad J.K. Buettner and Heinz Haber from the College of Engineering suggest that conquest of space is not far off. Examining the fringes of space, which they name “aeropause,” their research determines that men in flight suits, who have already attained this near-space altitude in balloons, could expect little more danger from travel through space. In September of 1952, professor W.D. Hershberger observes the “gyroscopic” path that electrons travel around an atom by using microwave radar to examine samples placed in the field of a 3,500 pound electromagnet. In September of 1952, a team of professors led by Russell R. O’Neill is conducting a wide study of cargo handling to find ways to lower costs of shipping by water and increase the ability to handle greater quantities of goods. In September of 1952, William L. Martin and Richard E. George report development of a device that automatically rejects frost-damaged and granulated citrus fruit from fruit inspection lines. They report that frost-damaged and granulated fruits present a spotty appearance under X-ray fluorescence, and suggest a device with a mechanical or electric eye might be used to detect such spottiness and reject unwanted fruit automatically. In September of 1952, it is announced an instrument has been developed that can measure a shear force of 1/100,000th of a pound per square foot. The instrument, a shear meter, was developed by junior engineer John E. Vehrencamp to study the drag effect of air currents on the Earth’s surface and its influence on wind velocities and the transfer of heat into the air. In October of 1952, engineering professors Joseph Kaplan and Heinz Haber publish “Across the Space Frontier,” a book that is labeled an accurate blueprint for the establishment of a space station 1,075 miles above the Earth. The same month, assistant professor Albert Bush begins examination of particles in the atmosphere that contribute to pollution. In October of 1952, John Lyman and Donald Skilling embark on a study of kinesthesis, the muscle sense, in a program that will help in the design of controls for jet planes, where sudden forces occurring at high speeds may cause pilots to lose control of the plane. It is also related to artificial limbs research where compensation for loss of muscle sense must be developed. In November of 1952, assistant professor Albert Bush seeks to solve problems associated with using man-made freshwater dikes to form barriers to the intrusion of sea water into coastal fresh-water aquifers. At some point, the fresh water will penetrate no deeper to complete the barrier, and Bush is examining use of chemical treatments to remove the flow impediment. In December of 1952, using principles of diffraction, Daniel Rosenthal, George Sines, and Murray Kaufman measure minute spacing of atoms of different materials by means of X-ray. Their research shows that by pre-stressing certain aluminum alloys, their strength can be doubled, which is directly applicable to the design and construction of advanced aircraft. In March 1953, Louis Pines uses mathematical methods developed by 19th Century French astronomer Henri Poincare to predict the performance of compact mineral units known as the transistor and dielectric amplifier, which are destined to revolutionize the electronics field. In September of 1953, mechanical brains, whose wire nerves carry electrical impulses at rates up to 186,000 miles per second, are used to solve such knotty and diverse problems as traffic jams, manufacturing bottlenecks, rapid translation of scientific Russian, earthquake effects on buildings and the icing of airplane wings. In November of 1953, Arthur Pillsbury and Edward Taylor look for a cause and solution to the problem of surging in open-pipe type irrigation systems. Surging has been an increasing problem in irrigation systems. The research discovers that vents placed adjacent to overflow stands along the pipes will allow the “burping” of the buildup of air in the pipes, which was found to be the cause of the problem. In May of 1954, engineers first connect two mechanical brains, the differential analyzer and the network analyzer, to solve the problem of accidental grounding or short circuits in large power lines, which often results in “brown outs” or power failure. The analyzers, located in separate rooms and connected by 100 feet of cable, solve the complex problem in 10 minutes. In May of 1954, it is reported that Gerald Hassler has constructed a device which extracts fresh water from sea water using the selective action of an osmotic oil membrane. Hassler’s membrane is an extremely thin oil layer supported by capillary action. It has no holes as such but water molecules can diffuse through it while salt molecules are blocked. In June of 1954, Vincent Blockley reports that results of experiments with a heated cockpit and pilots in flight suits determined that pilots can perform effectively for about an hour in air temperatures near the boiling point of water at a cabin altitude of 24,000 feet. In September of 1954, senior electrical engineer Ralph Crump suggests grounding all home appliances and using grounded three wire outlets, which are available but not yet widely used. He announces that a program is under way to equip all campus buildings with 3-wire outlets and to see that all equipment is grounded. In June of 1955, it is announced that the College of Engineering will begin a cooperative engineering education program with Gadjah Mada University in Djogjakarta, Indonesia. Nine UCLA faculty members will help Gadjah Mada faculty in setting up modern engineering curriculum and laboratories, and advise on teaching methods. In May of 1956, C. Martin Duke and David J. Leeds take measurements from strain gauges installed in the engineering building during its construction to develop stronger structures. The gauges, networked to a central recording facility, which also houses a strong-motion seismograph, allow accurate recording of the building’s response to earthquake tremors. In July of 1957, while examining the concept of “wings of clay” using pre-stressed ceramics for materials in supersonic aircraft, professors Francis R. Shanley, William J. Knapp and R. A. Needham suggest graphite is also a possible answer to the aircraft “heat barrier.” They report that the strength of graphite actually increases with temperature up to about 4,000 degrees Fahrenheit. In September of 1957, research engineers James Howard and Philip O’Brien use laboratory instruments to examine the process of egg candling. Candlers traditionally hold an egg up to the light to determine whether the egg has been diseased. The engineers examine the egg’s light quality and map the depth of the egg’s air cell and albumen density to determine more effective lighting techniques to make the candling process more accurate and efficient. In October of 1957, UCLA engineers Neal A. Richardson and Wilbur Middleton use highly efficient particulate filters and charcoal filters to examine the existence of irritants in office air. Using sets of blind filters and questionnaires that solicit responses relating to the degree of eye smarting, and throat and nose irritation, the researchers determine that the irritants are in the form of gas, not particles. Professor C. Martin Duke reports in May of 1958 that cities which experience earthquakes could reduce future damage by establishing building codes based on soil conditions. He suggests development of zoning maps that show location of soft valley or seashore deposits, which he says amplify quake motions and therefore require stronger foundations. In August of 1958, plans are completed for UCLA to receive an accident-proof nuclear reactor worth $203,350 from the Atomic Energy Commission (AEC). UCLA is one of the first universities in the country to receive the 10-kilowatt Argonaut reactor, which will run for more than 10 years on three kilograms of Uranium-235 loaned to UCLA by the AEC, according to professor Thomas E. Hicks. In September of 1958, President Eisenhower points to development of methods for converting sea water into salt water as one of the key hopes for the peaceful developments of the Near East. His words are noted with interest by associate professor Joseph W. McCutchan, who is developing membranes for a reverse-osmosis water desalination system. In December of 1958, under the direction of professor Gerald Estrin, UCLA receives the only Telemeter Check Processing Machine from Telemeter Magnetics Co. for testing. The device produces a computer punch tape for attachment to bank checks that contains all of the information necessary for automatic bank routing. In 1958, the beginning of the space age, under the direction of professor Samuel Herrick, UCLA became the first U.S. university to graduate a Ph.D. specializing in astronautics, and was the first to offer a course in rocket navigation. In October of 1959, research engineer Richard Kopa examines a mixing device for auto gasoline intended to reduce smog. Mounted on top of the carburetor, the device injects additives into the airstream before combustion, successfully eliminating 80 percent of the nitrogen oxide from the auto exhaust. In October of 1959, a $1.2 million grant is received from the Ford Foundation to conduct an extensive, five-year study of the School’s curriculum. 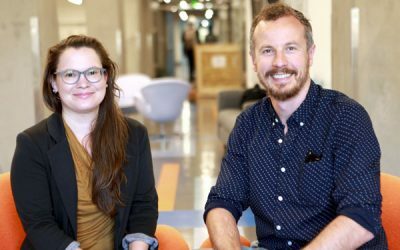 The grant, one of 10 awarded nationwide, is intended to help strengthen engineering curricula in the face of an increasing demand for engineers. UCLA’s College of Engineering is the only one in the country with a unified undergraduate curriculum, which emphasizes the fundamentals common to all engineers rather than the specialized techniques of the various engineering branches. In October of 1959, a Lockheed supersonic X-7 guided missile is delivered to the College of Engineering for use in teaching and research. The 38-foot, air breathing, short-wing missile will be used to test new developments in ramjet engines and other components for the Air Force. In November of 1959, a revolutionary new book on prosthetics is published, titled “Clinical Prosthetics.” The book, an outgrowth of five years of research and experience in UCLA’s Prosthetic Education Project, is referred to as the “amputation Bible.” For five years, more than 2,300 members of clinical prosthetics teams from all over the U.S. and several foreign nations received training through the project. In November of 1959, Eldon Knuth uses a supersonic nozzle to blast highly heated molecules at various solid materials, such as metal and glass, to examine how much heat and drag are exerted on a spacecraft moving 25,000 feet per second through space. In August of 1960, the development of the first practical membranes for a water desalting process called reverse osmosis is announced by UCLA engineers. In research initiated by the late professor Samuel T. Yuster, engineers Sidney Loeb and Srinivasa Sourirajan successfully test a special membrane, or film, with a large number of tiny pores, which in effect separates the salt from saltwater leaving potable (fresh) water behind. Loeb and Sourirajan believe their process holds promise for large scale commercial use, and will now embark on a project to build a pilot plant that can yield 25,000 gallons a day. In October of 1960, Professor Alan Powell investigates aerodynamic noise in a special laboratory in Engineering I. When the building was erected, a large exhaust stack the full height of the building was installed to make possible experimentation with aircraft jet engines. Prof. Powell’s research focuses on the incidence of sound-induced vibrations, which cause acoustic fatigue resulting in cracks in the airplane skin and loosening of rivets. Powell suggests that the acoustic fatigue problem could be limited with the development of engines having larger but slower jet streams, which could give the same thrust with less noise. In February of 1961, what the well-dressed space explorer might wear on the moon is modeled using an integrated space suit. Designed by Allyn B. Hazard, the suit is a rather awesome 8-feet high with twin antennas sticking from the helmet, rubber encased arms and legs, a hefty circular midriff, and identification and ground lights. The researchers say that like a skin diver, the moon explorer will have to carry his earth environment with him, including food and liquid, a communication system, and power supply. In September of 1961, it is announced the College of Engineering will receive a tape-controlled machine tool system from General Dynamics. The computer, officially called the Prototype Digimatic Director (one of only four in the country), prepares magnetic tapes for numerical control of a milling machine. Together with a previously donated data entry unit, keyboard and power supply, the Director completes a system which will be a basic part of tomorrow’s automated factory. In April of 1962, nine engineering students launch the Syrius II hybrid-fuel rocket from a test site at China Lake Naval Ordnance Test Station. The liquid/solid fuel rocket, designed and built solely by the nine students, reaches an altitude of 1,200 feet and lands 4,000 feet downrange of the launch site. In a report to the Regents in January of 1963 on the six-year Gadjah Mada project to train engineers and establish an engineering education infrastructure in that country, success was the overwhelming result. The number of graduates increasingly grew and in 1962, 150 engineers are graduating per year. In July of 1963, professor Richard D. Kopa has developed and is testing on automobiles a device that returns exhaust gases to the combustion chamber, thereby reducing nitrogen oxide in auto exhausts by 80 percent. In September of 1963, professor John Lyman is examining how amputees might be able to control artificial limbs, with more skill and less effort than they can with existing prosthetic devices, by using various chest and back muscles. By this method, amputees could be grasping something with the artificial limb, while rotating the wrist simultaneously, since current prosthetics do not allow such multiple function. In September of 1963, with the help of UCLA engineers assigned to the Gadjah Mada project, Indonesia launches its first rocket. Students from the Gadjah Mada Rocket Club, with the assistance of UCLA professor Alex Petroff, designed and built the 40″ x 1 1/2″ black powder-powered rocket. In December of 1963, Richard D. Kopa has developed a fuel atomizing carburetor that sprays fuel into the engine. The device works in conjunction with his exhaust gas recycling controller to reduce pollution in auto exhaust. In January of 1964, professors Albert F. Bush and Herbert B. Nottage prepare to field test an infrared detector that can determine levels of carbon dioxide concentration in the air. The researchers plan to have a detector that will be carried throughout California in a mobile unit, measuring smog concentrations above parks, traffic intersections, industrial plants and residential areas. In January of 1964, it is reported that the College of Engineering spent $2 million on approximately 100 research projects in fiscal year 1962-63. The heaviest research concentration is in the area of water resources and sea water conversion, followed by air pollution and traffic studies. Other areas of research include cargo handling, earthquake effects, fluid motion and sound, metal stress, plasma properties, solar energy, structural design, and artificial limbs. In February of 1964, an automatic control system coupled to a dynamometer has been developed at the College of Engineering to simulate actual road trips and test the effectiveness of anti-smog devices. With the dynamometer system connected to a treadmill placed under the rear tires of a car, exact speeds can be maintained, or a simulated trip can be repeated accurately time and time again. Looking forward to a time when California will require periodic checks on smog control devices on all cars, the researchers suggest that controlled dynamometer systems may become essential equipment in test stations and service stations. In July of 1964, professors Cornelius T. Leondes and Allen R. Stubberud are developing a system to feed retargeting commands to a missile at the launch site, rather than the current system of routing commands through computers at SAC headquarters. The research, sponsored by the Ballistic Systems Division of the Air Force Systems Command, is also applicable to development of computer systems to control industrial processes, guide and control space vehicles, and automatically navigate ocean freighters. In October of 1964, professor Gerald Estrin has successfully linked a computer to multiple processors to create a “Fixed Plus Variable Structure Computer.” The computer controls the operation of the other processors, and is able to correct the human programmer when a poor selection is made. The “Fixed Plus” computer can do problems hundreds of times faster than conventional computers, and can even design other computers from start to finish. In May of 1965, Algirdas Avizienis reports to the International Federation for Information Processing Congress his development of a method for programming computers to diagnose themselves for errors. He will initially test this method on a NASA research project in spacecraft guidance. The method could allow replacement of multiple back-up computers now used. In June of 1965, the world’s first reverse osmosis plant begins operation in Coalinga, a farming community near Fresno. The plant, designed and constructed by UCLA engineers, uses the new method of water desalination called reverse osmosis, first demonstrated by UCLA’s Sidney Loeb and Srinivasa Sourarijan in 1959. The plant will turn brackish well water into drinkable water for the community, producing 6,000 gallons of water per day. The reverse osmosis process reduces the water’s salt content from 2,500 parts per million to under 500 parts per million, the recommended standard for drinking water. In June of 1965, UCLA engineers working at the UCLA Child Amputee Project modify an automobile so that an 18-year-old youth, born without arms and only rudimentary legs and feet, can drive. The steering and acceleration are controlled by a U-shaped device attached to the modified accelerator and linked by a power system to the steering wheels. Ignition and transmission are controlled by the right foot also, and braking, and control of light switches, window controls, and windshield wipers are controlled by the left foot. Using this vehicle, the youth is able to successfully pass his road test, and the state issues him a driver’s license. In June of 1965, assistant professor Gershon Weltman and Glen H. Egstrom, director of the UCLA Performance Physiology Laboratory, are investigating some of the basic problems man faces working underwater. As its first project, a research group has developed an underwater restraining device to hold a diver in place while testing his field of vision through different face masks or while measuring the force of his kicking thrust. The group plans to develop instrumentation for freely-moving divers that will measure the human energy required in undersea work, and analyze the changes which occur in the body in deep water. On January 12, 1966, faculty members who participated in the Gadjah Mada University project have a final meeting to wrap up the 10 year effort to establish university training in engineering in Indonesia. More than 100 graduates a year are now turned out at the university and nearly 100 students and faculty members from Gadjah completed coursework and training at UCLA. In April of 1966, R. B. Matthiesen schedules a seismic test of the new Math Sciences Building under construction using a shaker device. The device consists of two counter-rotating buckets, each filled with 700 pounds of lead, which vibrate the structure slightly when the shaker is bolted to the foundation flooring. The “baby earthquake” provides data for engineers to determine the stability of the building. In June of 1966, the first UCLA College of Engineering Alumnus of the Year award is presented during commencement ceremonies to Raymond M. Hill, newly appointed chief of the Los Angeles City Fire Department. Hill earned his bachelor’s degree in engineering in 1955, specializing in chemical engineering and math. On Friday, August 26, 1966 it is announced by University President Clark Kerr and Chancellor Franklin D. Murphy that Chauncey Starr is named new Dean of the UCLA College of Engineering. Starr will assume his new duties on January 1, 1967. In October of 1966, Eldon L. Knuth reports findings on scattering of atoms off of materials that simulate spacecraft during flight. To replicate a spacecraft orbiting Earth at 25,000 miles per hour, Knuth produces a molecular beam with which he blasts particles at a variety of materials. The results will help in the design of spacecraft for high-speed flight as well as for the high heat of reentry. In November of 1966, professor John Lyman is interviewed by Walter Cronkite for a CBS-TV documentary series on “The 21st Century.” Lyman foresees many breakthroughs triggered by advances in materials, molecular biology, and integrated circuits, including artificial kidneys and hearts that work better than original organs, and artificial brains, perhaps coupled directly to man’s brain. By the 22nd Century, he says, man will control weather, fully exploit the ocean’s and the earth’s interior, and move even further into space. Humans may even be whisked across vast distances through teleportation, Lyman speculates, in which a person’s entire genetic code would be fed to a computer, and flashed to a receiving computer on the moon or another planet, where it would be instantly reconstructed into the person who stood on earth a few seconds earlier. In December of 1966, professor Moshe F. Rubinstein publishes a book titled “Matrix Computer Analysis of Structures,” which explains a way to analyze the earthquake-safety of a building on the computer, before a drop of cement is ever poured. By feeding the computer information on the shape of the structure, its separate parts, and types of material, the computer can predict the stresses and strains on the building when subjected to earthquakes, strong winds or other forces of nature, as well as the normal loads of equipment and people, Rubinstein says. In April of 1967, George A. Hoffman from the Institute of Transportation and Traffic Engineering suggests a hybrid gas-electric vehicle that would utilize electric motors at each wheel. The vehicle, Hoffman says, would consist of an internal combustion engine of a rating much reduced from the conventional motor that it supplants, and would drive, at its optimal speed, a generator. The generated electric power goes to the traction motors (integral with all the wheels) and to a sizable secondary battery, also connected with the four electric motors. Depending on speed and terrain, computer controls would determine the combinations of engine power and electric power to serve the greatest utility. In July of 1967, responding to the explosion of worldwide transportation (from cargo jets to barge-carrying ships and high-speed trains), faculty are creating computer systems to give a helping hand in finding the most efficient and cost-effective route. Using the TRANsportation SIMulator or TRANSIM, thousands of decisions and factors that go into moving commodities from one place to another are run through a computer to come up with an accurate analysis of cost, time, and operational problems for a planned route. The project is under the direction of associate dean Russell R. O’Neill and Alfred M. Feiler. In August of 1967, assistant professor John A. Dracup is heading to the arid stretch of Coahuila in north central Mexico as part of a long range project by the University’s Dry-Lands Institute to help solve the basic problems plaguing the world’s water-starved areas. By coordinating damming activities near watersheds and a planting program, Dracup hopes to increase the amount of run-off water available for agriculture use. In May of 1968, George Hoffman uses an electron microscope to probe the makeup of ancient coins and detect forgeries. Using the microscope, an electron beam is focused on a tiny spot of the coin, which reflects the X-rays. After the data is run through a computer, an analysis of the angles and intensities of the X-rays shows the metallic composition of the coin. Because many ancient coins contain faint traces of gold, lead or other metals, depending on when and where they were struck, Hoffman has been able to use these “metallurgical signatures” to detect forgeries. In February of 1969, a small group of professors from the College of Engineering and the School of Medicine is expanding its specialty of cybernetics through courses and research. 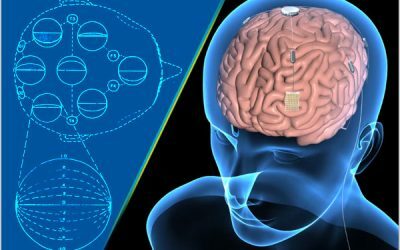 The researchers are examining the possibility of connecting a device that detects brain waves and can transmit signals to paralyzed limbs. This by-pass system would, for example, send a “clench fist” signal to the muscle of the paralyzed limb. Engineers accomplishing the research include professors Edwin B. Stear and Jacques Vidal, psychiatrist John Shanley, and engineering student Lloyd Nirenberg. On Feb. 21, 1969, upon recommendation of UC president Charles J. Hitch and UCLA Chancellor Charles E. Young, the Regents approve changing the existing College of Engineering to the School of Engineering and Applied Science, effective fall quarter 1969. The aims and programs of the new School will put into practice the chief recommendations proposed in two studies on engineering education. Both reports call for an upward shift in the educational level of engineers in the face of the accelerating knowledge explosion and the crucial social role of the engineer. In April of 1969, a reverse osmosis plant for purifying sea water into drinking water goes on line in La Jolla. 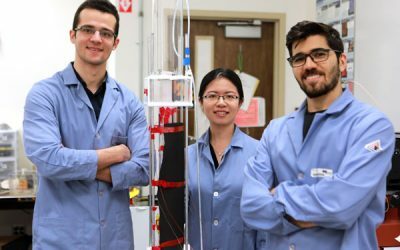 The plant, designed and constructed by UCLA engineers using membranes for reverse osmosis first demonstrated by UCLA in 1959, can purify the sea-water in one pass through the system. Using tubes filled with membrane liners, the salt content of the water is reduced from 35,000 parts per million to a level of 500 ppm required for drinking water. The project team includes professors Joseph McCutchan and Douglas Bennion, research engineer Stephen Johnson and Edward K. Selover. On July 3, 1969, it is announced that UCLA will become the first station in a nationwide computer network which, for the first time, will link together computers of different makes and using different machine languages into one time-sharing system. Professor Leonard Kleinrock, who heads the UCLA project, says creation of the network represents a major forward step in computer technology and may serve as the forerunner of large computer networks of the future. The ambitious project is supported by the Defense Department’s Advanced Research Projects Agency. On September 25, 1969, formation of seven departments within UCLA’s newly established School of Engineering and Applied Science is announced by Dean Chauncey Starr. Starr says the departments have been organized by “broad areas of learning and research rather than by the end use to which a graduate will put his academic background on his first job. In November of 1969, a study by Edward Levonian of the Institute for Transportation and Traffic Engineering, says that the personality trait of “expedience” in youngsters is often related to a record of driving violations. The research psychologist defines expediency as “orientation toward self-benefit at the expense of others, or, less formally, as looking out for number one, even if it means hurting someone else.” The results are based on a 220 item questionnaire given to 1,080 15-year-old students enrolled in driver’s education classes in City of Los Angeles high schools. In February of 1970, the success of a two-year effort to implement the Engineering Special Education Program to help high school seniors from minority groups meet the academic qualifications to enroll at UCLA is reported. The program was begun by UCLA engineering seniors Jim Murray and Ronald Fountain, and then supported by professor Morris Asimow. Under the program, 32 students from Compton, Centennial, and Dominguez high schools serve six months as engineering aides at UCLA, with some of them developing a design for improved housing in Compton. In August of 1970, Ruth Ann Bobrov Glater determines by examining plant damage in Los Angeles that the levels of nitrogen oxides in smog are increasing. Whereas an excess of hydrocarbons in smog had been causing leaf damage on some vegetable crops (such as lettuce, spinach and beets) and ornamental flowers (dahlias, petunias and fuchsias) between 1940 and 1960, thereafter a different type of damage, that causes plants’ lower leaves to drop off, was occurring. This type of damage, Glater says, signals an increase in concentrations of nitrogen oxides resulting from auto and aircraft engine emissions. In May of 1971, professor Albert Bush warns of possible health hazards from the breathing of thousands of tiny particles invisible to the eye that exist in polluted air. Bush says that the particles are small enough to slip past nasal passages and be deposited in the respiratory system or lungs and that gaseous irritants may adhere to the surfaces of tiny particles and be carried by them to the eyes and respiratory system. In May of 1971, Fred Allen from the School of Engineering and Earl Collard of the School of Dentistry have developed an electronic device that allows a person to hear through the teeth. A wristwatch receiver-transmitter receives either radio frequency or audio signals and translates them into vibrations of the teeth through a device fitted inside a dental bridge. The vibrations are transmitted through the tooth, jaw and cranial bones to the inner ear, allowing a person to hear. In July of 1971, professor John D. Mackenzie responds to the needs of an Imperial Valley rancher and develops a method of mixing cow dung and waste glass to produce a lightweight, building material that doesn’t burn, is waterproof, an excellent thermal and noise insulator, can be painted, nailed, drilled, sawed and glued together, and is cheap and easy to produce. Mackenzie notes that the material is also odorless. In July of 1972, five engineering students have modified a 1972 American Motors Gremlin with a Ford “Boss” 351 engine to run on hydrogen gas and are preparing to enter it in the Urban Vehicle Design Competition scheduled in August. Lab tests indicate that the car will not only beat the scheduled 1976 pollution control standards but will actually emit slightly cleaner air than it takes in. Student designers of the vehicle include Frank Lynch, Joe Finegold, Ned Baker, Bob Takahashi, and Johnny Lu. Their faculty sponsor is Albert Bush. In August of 1972, the results of a study on women in engineering led by associate dean Alfred Ingersoll concludes that more women are being attracted to the engineering profession, but the lack of role models and the “executive suite barrier” prevents them from moving into upper level jobs in engineering management. 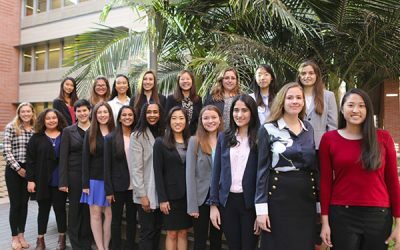 Practicing women engineers make up less than one percent of the engineering work force, Ingersoll notes, while women represent half of the nation’s technical talent pool. In September of 1972, the UCLA team has won the 1972 Urban Vehicle Design Competition with their hydrogen-powered Gremlin. The team would like to now develop solid hydrogen storage methods which could eliminate weight and storage problems of using hydrogen gas to power the vehicle. In April of 1974, it is announced that professor Rointan F. Bunshah has developed a new material called titanium carbide, second only in hardness to diamond. Described by a colleague as “easily the most startling material development in many years,” titanium carbide promises to have a wide range of uses, especially as a super-hard coating for cutting, drilling, and grinding tools. In May of 1974, professors Douglas N. Bennion of UCLA and John Newman of UC Berkeley announce development of a low cost, non-polluting process for recovering copper from ores and scrap metal. Using a concentrating cell, the electrochemical process yields high concentrations of copper, and can also be used to recover mercury, lead, cadmium, silver, and gold. In January of 1975, a UCLA space experiment to investigate the formation of optical fibers is being prepared for launch to orbit as part of the joint Apollo-Soyuz Test Project mission. Aboard the spacecraft, a small electrical furnace will use elements to fuse together optical fibers into a matrix, providing qualities that cannot be obtained using earth-bound laboratories. Professors Alfred S. Yue and Cavour W. Yeh predict that these light-transmitting fibers could vastly improve telephone and television communications. In June of 1975, wide ranging research into computer networks is led by professor Leonard Kleinrock and funded primarily through grants from the Advanced Research Projects Agency (ARPA). On-going ARPA-funded research has expanded to include performance evaluation of computer networks and the study of advanced packet switching in satellite and ground radio environment. In June of 1975, doctors and engineers are joining together to work on projects such as development of artificial joints and organs, electronic instrumentation for medial diagnosis and treatment, life support systems, and injury prevention in automobile accidents. In December of 1977, the world’s last working model of a mechanical differential analyzer is donated by UCLA to the Smithsonian Institution for their pioneering computing displays. The differential analyzer, first used at UCLA in 1947, introduced much of Southern California industry to automatic computing. In May of 1978, professor T.H. Lin is developing improved stress-strain relations for metals subject to multiaxial stress. Lin is devoted to developing a physical theory of creep of metals, which has particular importance when designing structures that are subjected to mechanical loading at elevated temperatures. In June of 1978, the Engine and Fuels Laboratory under the direction of professor William D. Van Vorst has been upgraded and now permits on-line sampling of unburned hydrocarbons, carbon dioxide and monoxide, oxygen, and nitric oxides in auto exhaust. Efforts are directed at investigation of fuel additives and their effect on performance and emissions, with the results applied to the development of engines and fuels that will maximize fuel economy and produce minimum air pollution. In July of 1978, professor Sheldon K. Friedlander has developed a laboratory for the study of aerosol behavior, including use of optical particle counters capable of measurements in the .1 to 5 micron range. Friedlander is examining new theories on nucleation in a reacting gas, and suggests classic nucleation theory may have to be modified as applied to smoggy atmospheres and process gases. In January of 1979, Dean Russell R. O’Neill journeys to the People’s Republic of China with a UCLA delegation to explore future academic relations and possible exchanges between the two nations. UCLA was selected as one of six U.S. universities to be linked with a major Chinese institution. In May of 1979, students are working on projects in the field of solid state electronics with faculty direction: professor Fred G. Allen is studying the energy loss of hot electrons on thin semiconducting films; Oscar M. Stafsudd is studying low temperature deposition techniques to make low-cost silicon material for solar cell applications. In September of 1979, under the direction of professor Gary Hart, the Full Scale Earthquake and Wind Laboratory is gathering data on the response of existing structures to earthquakes. At Century City, Santa Barbara, and other locations in the state, instruments have been placed in buildings to measure motion. Should the ground move, the building moves the instruments and the information is transmitted over telephone lines to a central recorder on campus. In October of 1979, professor D. Lewis Mingori and students are involved in studies related to controlling the orientation of and the shape of large flexible spacecraft. The research is directed at understanding how best to locate actuators and sensors for controlling the orientation of large space arrays. In August of 1980, professor Andrew F. Charwat is expanding on a reversible energy storage technique for automobiles that involves the use of rubber bands as “collectors.” By connecting the wheels to the movement of the pistons using a series of rubber bands, energy could be stored during braking and then released during acceleration, saving on fuel consumption, Charwat says. On October 9, 1980, the Crump Institute for Medical Engineering is established and F. Eugene Yates is named director. The institute is an expansion of the research involvement between engineers and medical professionals that began with formation of the Institute for Medical Engineering in 1976. Much of the impetus and most of the funding comes from Ralph and Marjorie Crump. Ralph E. Crump is a 1950 graduate of the UCLA College of Engineering and president of Frigitronics of Bridgeport, Conn. The company specializes in the development and manufacture of medical instruments, many invented by Crump himself, particularly for use in cryogenic (low temperature) surgery. In November of 1980, professor Michael K. Stenstrom is using roof-top digesting machines to research ways to boost methane production during a sewage sludge process. By feeding the process with the right type of micro-organic nutrients, Stenstrom has been able to produce an end product that is 65 percent methane. The project is sponsored by Southern California Edison, which sees methane as a clean, low sulphur fuel for power plants. In June of 1981, professor Poul Lade is focused on the mechanisms that determine ground-surface offsets above a dip slip earthquake fault. By using mathematical formulas based on laboratory results in which faults were identically simulated, researchers arrive at an accurate prediction as to how the soil above the fault will react when it begins to move. In August of 1981, professor Bruce Dunn is involved in a variety of research areas in materials science, including researching possibilities for synthesis of solid state batteries and sensors, and, in the biomedical area, examining use of polymers for the replacement of finger joints to aid patients suffering from severe arthritis. In May of 1982, pioneering research is carried out in the field of molecular beam epitaxy (MBE), one of the major advances expected to have a large impact on the electronic devices of the 1980s. MBE is a process by which layers of one single crystal material are grown on top of another single crystal material. The minute layering process enables construction of smaller and faster semiconductor circuits. In June of 1982, faculty at the School’s Water Resources Center have completed modeling work on the Central Arizona Project, which represents the first application of mathematical programming to the optimal operation of an aqueduct system. The CAP is a modern aqueduct system scheduled to deliver Colorado River water entitlements to urban, agricultural and industrial users in Central Arizona. The UCLA model determines the best flow necessary to meet water demand by analysis of water management using the capabilities of the system’s open channel aqueducts, tunnels, check gate structures, inverted siphons, pipes, and relift pumping stations. In July of 1982, faculty in the materials department are investigating a class of composites based on a new principle called “transformation toughening.” The process reduces the propagation of cracks in such materials, increasing “flexural strength” by 60 percent. Such toughened ceramics will have applications as cutting tools, hip-joint replacements, and improved artificial teeth. On November 15, 1982, doctors and engineers at the Crump Institute hold a press conference to feature new research into infant sleep patterns and a solution to the abnormal patterns that may cause sudden infant death syndrome (SIDS). By putting sensors beneath an infant’s crib, researchers determine the movements of an infant. A teddy bear that “breathes” by having its chest expand is placed in the crib. Researchers determined that when the teddy bear is made to breathe, the infant goes to it and sometimes cuddles it. By helping regulate infant breathing patterns, the incidence of premature disease or death can be avoided. Research has shown that infants who sleep fitfully in the first six weeks of infancy are prone to early health problems, whereas infants with stable breathing patterns typically lead normal lives. In February of 1983, the Minority Engineering Education Center is opened and dedicated to serve as a focal point for the School’s efforts to enroll and retain an increasing number of students from underrepresented minority groups. The center is an outgrowth of a long-standing program for introducing select high school students from minority groups to the study of engineering. In December of 1983, professor Algirdas Avizienis is refining techniques for fault tolerant computers, a technique he developed at Jet Propulsion Laboratory in 1967 when he designed the STAR (Self Testing and Repairing) computer. In addition to refining the error-catching mechanisms in the computer hardware, he has extended his efforts so that the system will also diagnose and neutralize human mistakes in both software programming and circuit design. In February of 1984, a photo-electric mixing tube, the heart of an eight-year-long experiment at UCLA that gave birth to the field of quantum optics, was given to the Smithsonian Institution. The device, invented by professor A. Theodore Forrester, is the second of Forrester’s inventions to be included in the Smithsonian collection, the other being his ion propulsion engine put on display in 1964. In May of 1984, UCLA’s first hydrogen-powered car, a 1972 Gremlin, is sold for one dollar to Harrah’s Automobile Museum in Reno, Nevada, where it went on display. In June of 1984, it is announced that UCLA will decommission its training and research reactor and that the Nuclear Regulatory Commission has been notified that UCLA will withdraw its application to renew the operating license for the reactor. The reactor operated safely from startup in 1960 through shutdown on Feb. 3, 1984. In December of 1984, in order to test the feasibility of a CalTrans program to retrofit freeway bridges to reinforce them against earthquakes, professor Larry G. Selna and students construct a massive bridge-tester capable of exerting 1.5 million pounds of pull. Using the device, the UCLA team constructs bridge joints utilizing the “pinning” method” suggested by CalTrans, and then evaluates the design using the bridge-tester. The UCLA team determines during the first nine tests that the method of tying bridge spans together with cables is insufficient. In May of 1985, UCLA joins an international team to solve the technological challenges for creating nuclear fusion, seen as the power source for the next century. Using UCLA’s Plasma Interaction Surfaces Components Experimental Simulator, the UCLA team, led by professor Robert W. Conn, tests different materials for use inside the superhot fusion reactor of the future. In October of 1985, a group of five professors has been awarded a three-year contract as part of a Strategic Defense Initiative project looking toward the design of large, innovative nuclear power reactors for use in space. The UCLA team pursues the project in conjunction with two other universities and four private companies. Their unclassified research seeks to design reactors applicable to missile defense in space, as well as to manned space stations and deep space exploration. In February of 1986, a team of student and visiting Japanese engineers assist professor Ajit K. Mal in mapping microtremors in the San Fernando Valley. The Valley is divided into 50 observation sites two miles apart, each at which the team uses portable instruments to take microtremor readings. Using the readings, the team hopes to determine the potential for earthquake damage by examining the resonance of various soil types. 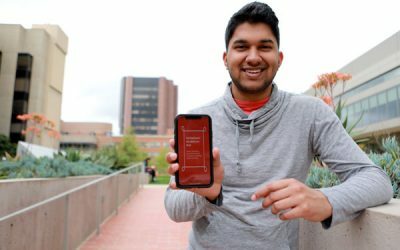 In April of 1986, 14-year-old Revital Elitzur has enrolled as an engineering student under the University’s gifted student program. The girl is one of a number of superachievers admitted to UCLA’s program from the past seven years. As a high school student she tutored college students in calculus to help earn the money to enroll at UCLA. In May of 1986, a new fusion generator called a “tokamak” built at UCLA begins operation. It is the world’s first continuous current tokamak (from Russian TOroid KAmera MAgnit Katuchka), and will be used in the development of nuclear fusion, a limitless and “clean” source of energy, by imitating and harnessing on earth the same processes that make the sun shine. The 16 1/2 foot doughnut-shaped device stands eight feet high and has viewing portals that also allow a person’s entrance into the inner chamber of the device for repairs and maintenance. The project is led by professor Robert J. Taylor under a grant from the Department of Energy. In June of 1986, Hewlett-Packard donates $2.5 million worth of computer workstations to the computer science department to advance teaching in artificial intelligence. Each workstation has a computer using the Motorola 68020 processor with seven megabytes of RAM and 110 megabytes of hard disc storage. In June of 1986, under a grant from the National Science Foundation, assistant professor Guy Felio performs field tests in Mexico City to probe the causes of building collapse during the 8.1 Richter scale earthquake that struck the city Sept. 19, 1985. Many of the structures rested on heavy piles driven deep into the ground, and it is this aspect of structural failures that Felio is investigating. In June of 1986, professors Rointan F. Bunshah and Oscar M. Stafsudd report development of a major advancement in semiconductors. The semiconductor is made of thin layers of beta silicon carbide and promises a “significant breakthrough in the size, power, speed, operating temperature and radiation resistance of solid state semiconductor devices and integrated circuits,” the researchers say. In September of 1986, professor Vincent L. Vilker has overturned commonly held beliefs on the removable of solvents contaminating groundwater. It was thought that no natural mechanism could destroy the solvents, but Vilker creates a biological recipe for a class of enzymes that “chew right through” the polluting toxins, called low molecular halocarbons (LMH). Vilker was pointed to the discovery by realizing that ether is an LMH, and that patients anesthetized with ether obviously recovered so must metabolize the gas in some manner. Vilker’s clue was discovered in the enzymes of the liver, which he replicated and modified in the laboratory to digest solvents. In February of 1987, veterinarians at the Wildlife Waystation in Little Tujunga Canyon are preparing to perform dental surgery on a 500-pound Siberian tiger named Reesha. The tooth repair is enabled by a heated, multi-position surgery table built by faculty, students and staff at the School of Engineering. Professor Alexander Samson, and staff members Joe Becker and Helen Hill manage the project from start to finish in building the unique operating table, which can support animals up to 1,600 pounds. On March 23, 1987, establishment of an $18 million center at the School of Engineering and Applied Science for research on toxic and other hazardous wastes and byproducts is announced by the National Science Foundation. The center, named the Engineering Research Center for Hazardous Substances Control, is the first of its kind at any American university. Professor Sheldon K. Friedlander is appointed director and principal investigator for the center. Friedlander notes that the cost of managing hazardous waste is approaching $10 billion annually for industry. In October of 1988, UCLA and IBM announce a $5 million study to connect separate IBM and other network computer systems at UCLA into one large network. The task will be to get users of networks based on IBM Systems Network Architecture (SNA) to “talk” easily with those based on the Transmission Control Protocol/Internet Protocol (TCP/IP) and vice versa. In April of 1989, volunteers from the School of Engineering are preparing to use a device they constructed to transport a 14-year-old African lion to a nearby operating room for tooth surgery. Professor Alexander Samson, staff members Helen Hill and Joseph Becker, and a team of seven students built the motorized gurney, which successfully moves the anesthetized lion from its quarters at the Wildlife Waystation across the grounds to the nearby operating room. The Half Track Limp Animal Transporter, the only one of its kind, enables two people to move a large animal such as a cougar or bear, where before 12 to 14 people grunted and sweated to do the job. In May of 1989, professor John Dracup testifies before a U.S. Senate Committee on the likely impact of climatic changes on water resources for agricultural, industrial and residential use. If the current trend toward global warming continues, Dracup says, it may threaten seasonal water balance in the American West, raise the cost of water to consumers and require additional construction of large dams and aqueducts. If snow lines and freezing elevations on mountains climb higher, winter precipitation will fall as rain rather than snow, consequently changing runoff patterns and triggering heavy winter floods and a corresponding decrease in streamflow during late spring and summer. UCLA researchers have developed a new polymer solar cell that is 70% transparent to the human eye. The cell produces energy by absorbing infrared light, and may someday allow windows in homes or buildings the ability to generate electricity, while still allowing people to see outside. (August 2012) Research led by: Carol and Lawrence E. Tannas Jr. Chair in Engineering Professor Yang Yang, Rui Zhu, Chun-Chao Chen, Letian Dou, Choong-Heui Chung, Tze-Bin Song, and Steve Hawks.